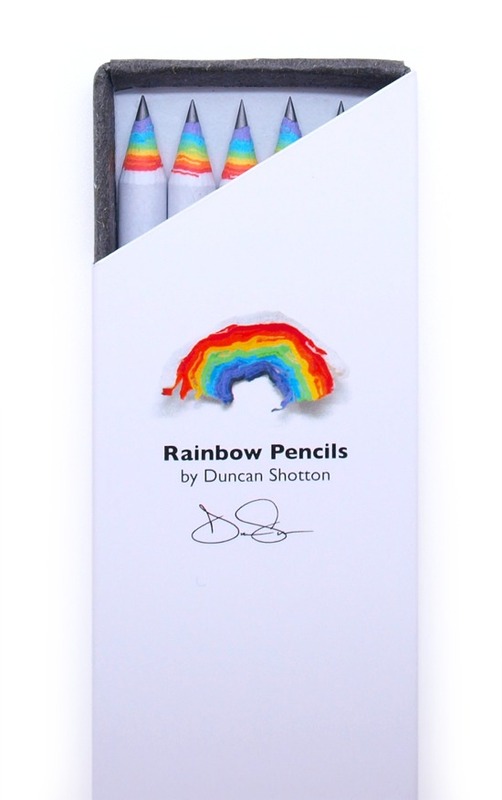 These rainbow pencils are such a clever idea. 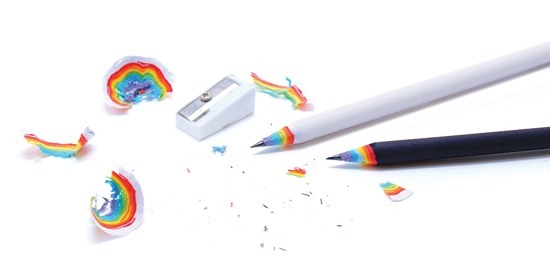 They're made from recycled paper, and every time you sharpen your pencil, you get a little rainbow. It's the brainchild of Duncan Shotton, a young British designer based in Tokyo. I love the childlike element of his designs, like these push pins and this cloud key holder. Cute and quirky -- two of my favorite qualities.